Officially founded in 1821, the Montreal General Hospital is recognized as a pioneering institution in North America for the many discoveries in medical research made there and for its early association with the Faculty of Medicine at McGill University – the first medical school in Canada. 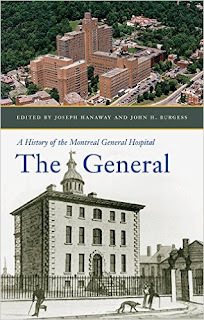 Covering nearly 200 years of history, The General relates the story of the hospital from its early development and founding to the transition and aftermath of its incorporation into the McGill University Health Centre in 1997. With contributions that show the perspectives of clinicians, nurses, surgeons, professors, and administrators, chapters chronicle the history of particular departments and specializations of the hospital, including cardiology, dermatology, endocrinology, neurosurgery, plastic surgery, obstetrics, emergency medicine, pathology, and radiology, as well as nursing, administration, and governance. Among the major turning points in the history of the hospital were the introduction of autopsy pathology by Sir William Osler, the debut of the electrocardiograph by Thomas Cotton in 1914, the discovery of a malignant tumour marker by Phil Gold and Samuel Freedman in 1965, its transformation from a community hospital serving anglophone Montreal to an internationally recognized academic centre during the 1950s and ’60s, and changes in governance due to the 1970 Quebec Medicare Act. 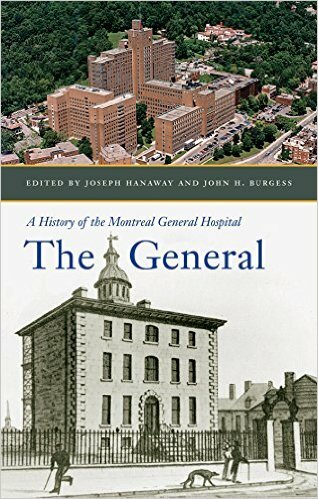 Both a collective reminiscence and an extensive institutional history, The General is an engaging account of one prominent hospital’s origins over nearly two hundred years.